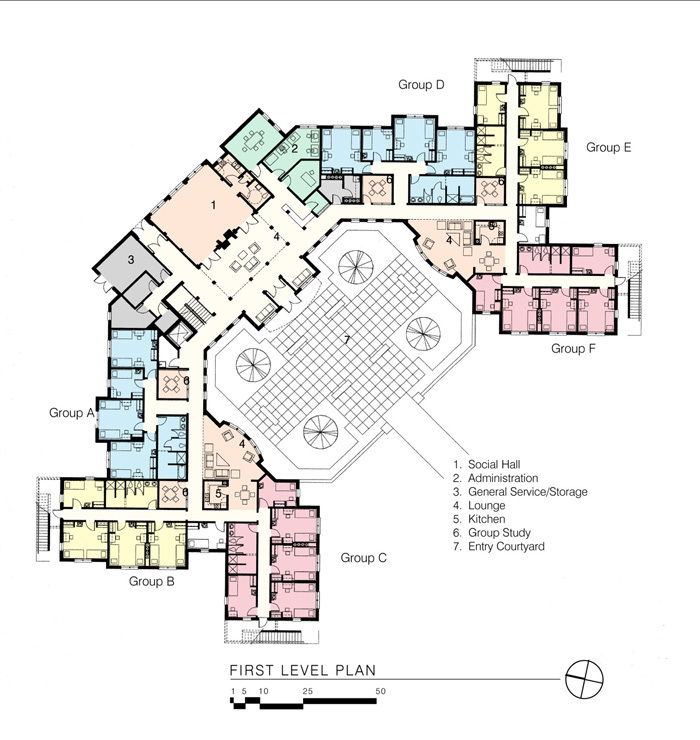 This 92-bed two-story residence hall is the first major new construction under the guidelines of a masterplan completed by our firm for Sheridan College in 1996. Founders Hall defines one corner of the campus. 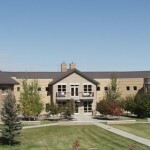 It faces the Big Horn Mountains and opens onto a large courtyard, directing students to the classrooms at the campus center. The varying hues of brick echo brick used throughout the college. The style of the building, designed in association with Anderson Mason Dale, integrates the curved walls of other campus buildings with traditional college residential themes. 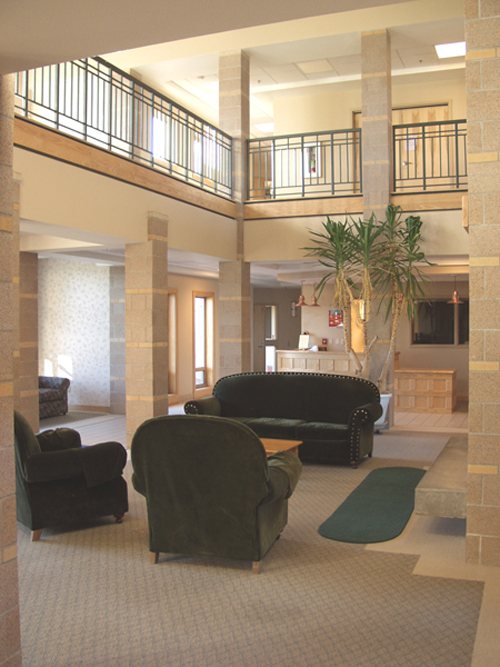 Inside, students are welcomed into a friendly lobby with fireplace and comfortable seating. Dorm rooms vary in size and shape; their furnishings can be arranged multiple ways. Each group of seven or eight students shares one bathroom. 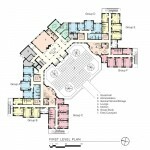 The 21 to 24 students on each wing share a kitchen, a dedicated quiet study room, and a social lounge. 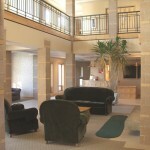 All students have access to the weight room, computer lab, well-lit laundry, and social hall.